Dye Sublimation is a process that involves: Polyester Fabric, Transfer Paper Substrate, Special Clothing Dyes and Digital Printing, all coming together to produce eye popping results and vivid colors on a T-Shirt. Sublimation is a chemical science that requires the T-Shirt to be white and made from 100% polyester. All Dye Sublimation T-Shirt projects start with white T-Shirts. 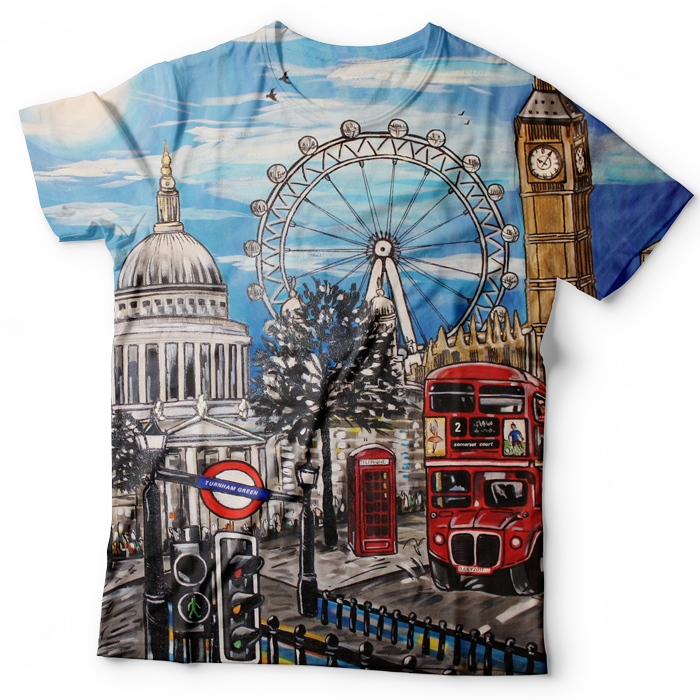 Digital printing is used as the basis for all T-Shirt Sublimation orders. As a result, using Dye Sublimation to decorate T-Shirts, clients can expect vivid colors and photo realistic results. Unlike Screen Printing, Dye Sublimation T-Shirts have absolutely no “hand” to them. That means that the decoration no matter how complex will have no feeling to it. Dye Sublimation Shirts are very durable. When used for uniforms, jerseys or other high impact activities, the decoration will not damage. Designs last long when laundered and look vivid and brilliant. Dye Sublimation T-Shirts Are AMAZING! Dye Sublimation T-Shirts are simply amazing. Dye Sublimation is the only method of garment decoration that offers full and complete colors with minimal setup. If you need a full wrap-around print or true All Over Printing on a T-Shirt, then Dye Sublimation is the perfect method for your T-Shirts.